It’s been a few years since I last drank the Chappellet’s 1975 Cabernet Sauvignon. In that time, the wine has only gotten better! Still deep and explosive, the 1975 boasts extraordinary richness from the moment it is first poured. Graphite, black cherry, smoke, plum and licorice meld together in a deep, unctuous Cabernet endowed with stunning purity. At forty years of age, the 1975 still has tremendous inner sweetness and resonance, likely the result of the drought conditions that year. 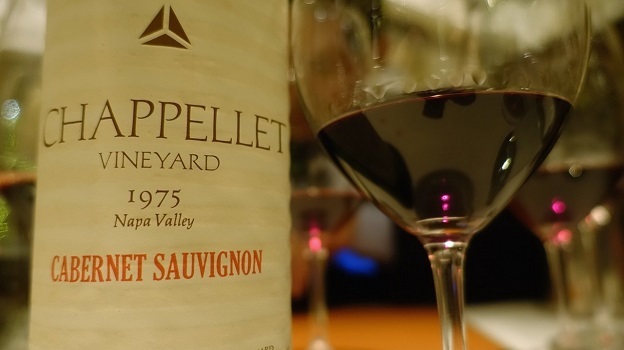 Quite simply, the 1975 is an utterly thrilling Cabernet from the Chappellet family. How long will it last? Your guess is as good as mime, but another two decades won’t be an issue. 97/Drinking window: 2015-2035.